You badly want to stay home with your kids, but your family needs money too. This battle causes heart-breaking torment for many moms, myself included. Thankfully, I’m here with good news: It doesn’t have to be one or the other. I’ll show you the best stay at home mom jobs through a series of interviews with real moms. These will teach you how you can be home with your kids and make money too. You may have read about 7 different ways I made money online during my first year staying home with my kids. But I understand not everyone has the same interests, strengths, and circumstances as me. Thankfully, there are SO many ways to make money as a stay at home mom. Keep looking and you will find something that’s a good fit for you. And instead of just taking my word for it, I asked some of my favorite stay-at-home mom friends to share how they stay home with their kids and contribute financially to their family too. 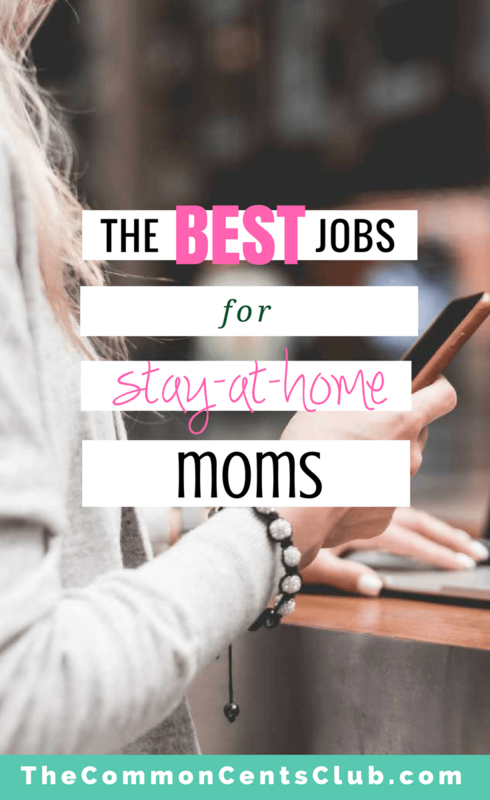 Enjoy this series of the best jobs for stay at home moms called: Work From Home Moms. Multi-level marketing (MLM) is a form of direct sales. Moms who get into MLM businesses often find a product or company they love, learn they can get discounts and earn commissions by sharing the product with their friends, become an independent representative, and voila! Their new home business is started. These moms find people with a problem and show how the company they represent and the products they sell can help solve that problem. Here are tips for being successful in direct sales and common myths and misconceptions that I believed too. 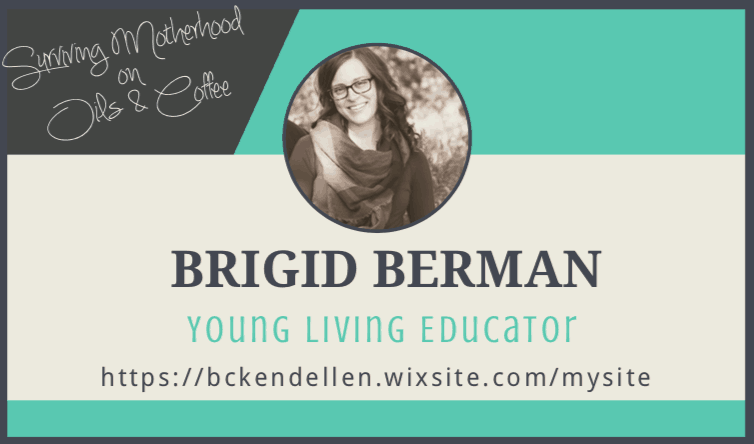 Thankfully, Brigid took time from her busy day to teach me about her MLM business and how she helps families eliminate the chemicals in their home, all while wrangling in 4 kids and homeschooling her oldest too! Let’s meet Brigid. Brigid Bergman of Wisconsin has a household of 6, including a husband who works construction, and four kids: ages 6, 4, 3, and 5 months. Sounds like a busy house, let’s hear how she manages to earn money in the middle of all that. What Is Your Stay At Home Mom Job? I am an educator and advocate for chemical-free homes and natural products. Technically, my title is “Young Living Distributor.” As part of my work, I teach classes about using essential oils and other Young Living products, both online and in-person. My work also involves time on Facebook, where I manage a Facebook group, share ideas and recipes, answer questions, and works with other leaders in my group. I’m also constantly learning myself. It’s important to keep learning about ways to use essential oils so I can incorporate them into my own family’s life, as well as those in my classes and group. When new people sign up to buy Young Living essential oils or other products through me, I help them get started by guiding them along the way as they learn the ins and outs of oils and supporting them through their new journey of living with more natural products and fewer chemicals. I try to limit myself to 3 hours per day, which consists of planning, replying to messages, checking on my team members, educating myself, and more. During busy times in the business, especially end of the month and during special sales, I spend more time than that working. How Do You Get Work Done While Having Kids? Like many work-from-home moms, I operate during nap time, early mornings, and late nights. If needed, I hop on the computer while the kids watch a movie or are playing elsewhere in the house. Sometimes my husband takes the kids out of the house for a while so I can have some quiet and really focus on my business. Hiring a nanny or babysitter at this time isn’t an option for our family, so I’m working with what I have! If English is your first language, you already have a skill that many people around the world are willing to pay for. Platforms like VIPKID and Magic Ears are two sites that will pay you to tutor about the English language virtually. This is one of the best jobs for stay at home moms because it offers great pay with super flexible hours. 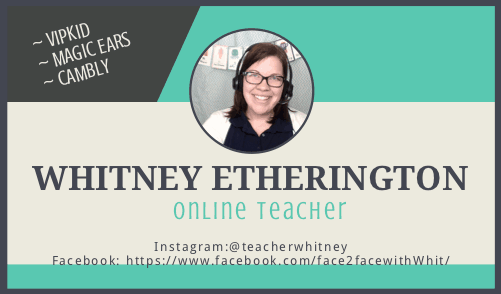 If you want to hear from one mom who makes more than $20 per hour as an online teacher, meet Whitney. Whitney and her husband have been married for 3 years. They have a dorkie named Tinkerbell and a 19-month-old girl known as Scout online. How Do You Earn Money From Home? I’ve also been a teacher and recruiter for Magic Ears and Cambly. Magic Ears is very similar except it is up to four students at a time. Cambly is video chatting with people all over the world to help them practice English. What Are Your VIPKID Hours And How Do You Get Work Done With A Kid At Home? I teach from 4:00-8:00 am while my daughter sleeps. I sleep with her during naps sometimes to catch up on my sleep. How Much Money Do You Make Working From Home? Providing childcare for others is another legitimate way to make money while staying home with your kids. Many moms start an inhome daycare and find kids to watch through family, Facebook, or even Care.com or SitterCity.com. 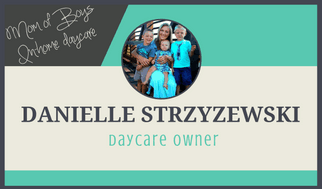 Here’s an interview with a mom who has 4 little boys of her own and runs a daycare too! Danielle has been married for almost 10 years. She and her husband have 4 handsome little boys, ages 6, 5, 3, and 6 months. They also have 2 fur pets, Timon and Citra (a red fox labrador retriever puppy). 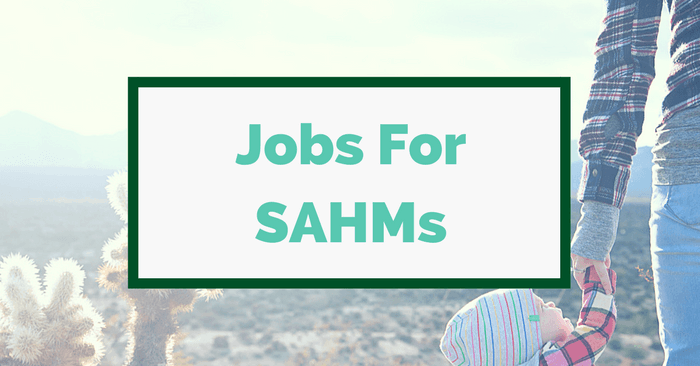 How Do You Earn Money From Home While Being A SAHM? I run an in-home daycare full time. I watch and stay home with not only my own children who are too little for school but also one little girl full-time Monday thru Friday and a couple others who are currently part-timers. I watch these kiddos anywhere from 10-35 hours per week now and I will watch them full-time during summer months. How Much Money Do You Make From This Work From Home Job? Stay tuned for more interviews from Work From Home Moms coming soon. Side hustles like this can give you income to pay the bills, pay off debt, save for the future, etc. Which stay-at-home mom job seems like the best fit for you right now? Comment below and SHARE this post to show how real stay-at-home moms can be home with the kids and make money too! Do you have any jobs recommendations for people who work full-time during the week and need to work weekends for extra money to pay off debt? My mother referred me to commoncentsclub.com. Thanks. Hey Josh, yes! There are definitely ways you can make money around a full-time job schedule. Before or after work and the weekends are the times that can be used to do things like freelance work, such as writing, proofreading, bookkeeping, video editing, and so on depending on your skills. You can also do things like tutor online through VIPKID where you have complete control over your schedule. The post https://thecommoncentsclub.com/jobs-for-pregnant-women/ has info on 31 different jobs, many of which are online and have flexible hours. Don’t let the post title fool you. Most of the jobs listed are relevant for anyone. 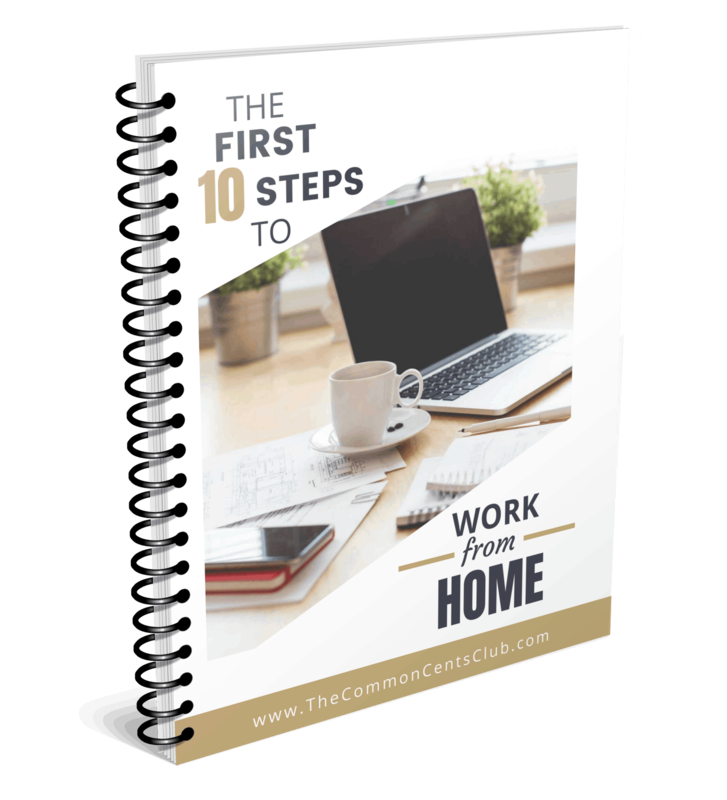 If you end up wanting to go the freelance route, you can get my free ebook with the First 10 Steps to Working From Home with exactly how I landed my first client. 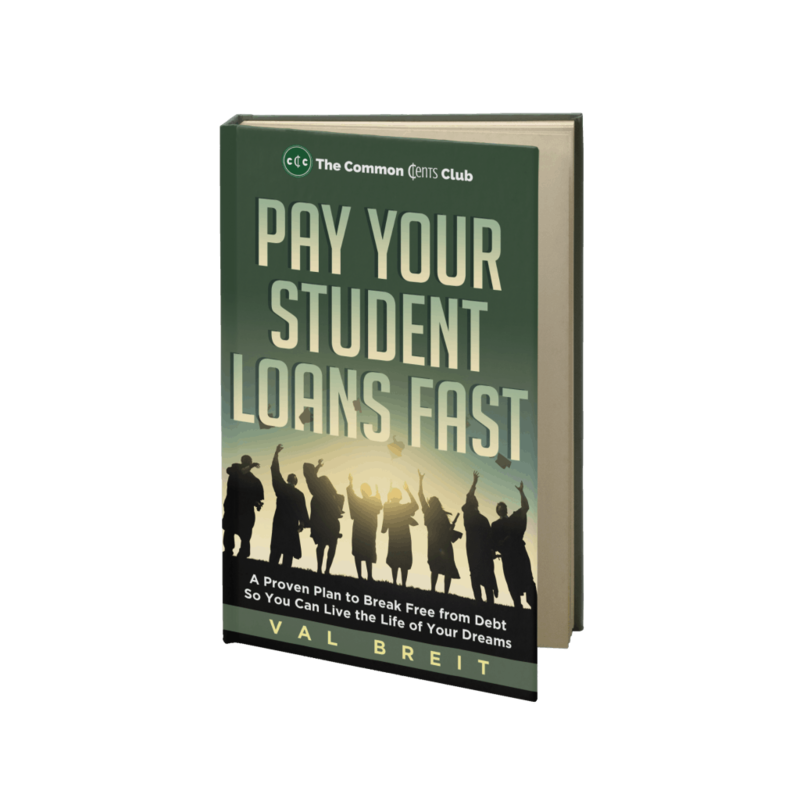 You can sign up for it here and I’ll send it to your email right away: https://thecommoncentsclub.com/work-from-home/ Hope that helps you find something so you can earn extra money and pay off debt. Deciding you’re going to hustle to pay off debt is a huge step. Congrats and keep at it! Hi Val, thanks for another great post! I’m particularly inspired by Whitney getting up at 4am every morning to teach others online whilst her daughter is still asleep! My own journey to making money from home so I could stay at home with my kids was via blogging. I can now offer a small but legitimate opportunity to make money from home for mums who are interested in mental wellbeing and self-care. I’m setting up an online expert community for my blog and will invite community members to share their thoughts on a wellbeing-related question each week. I pay $5 for each published response. If anyone is interested in joining, please check out my Contact & Collaborations page to find out more: http://www.mumswithmindsight.com/contact. Your email is guaranteed safe. Need To Start Thriving Financially? Sign up to unlock tools in my Free Resource Library for loving life -- without going broke. Your Finances, Family, and Freedom.